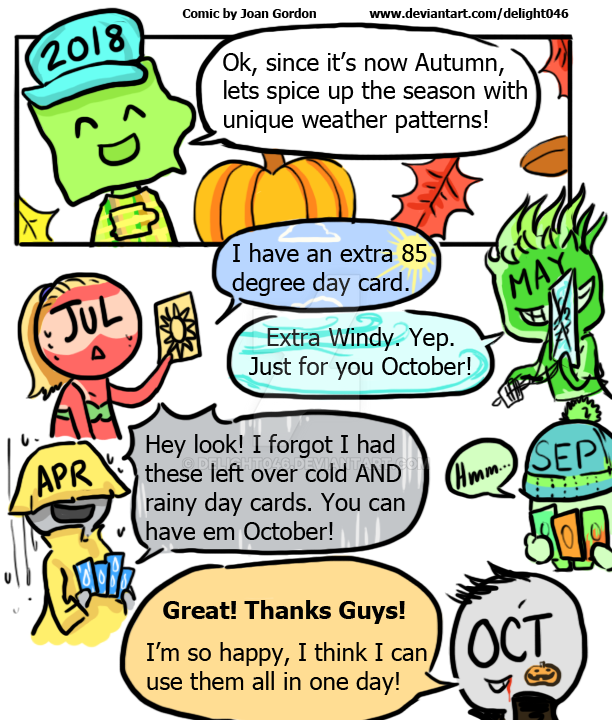 Today's weather was weirder than normal, so I made a comic about the months being in cahoots to make this weird weather pattern happen. Yesterday I needed my furnace and it was broken. Today I got a new furnace installed, and I was running the air conditioning. I think that's why Iowans have the saying, "don't like the weather? Stick around, it'll change".